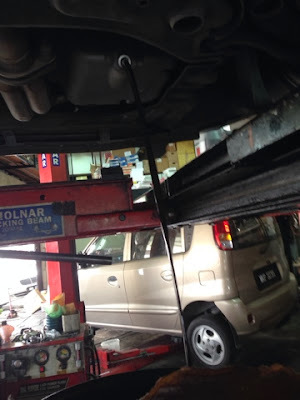 Today is the time to change my engine oil. 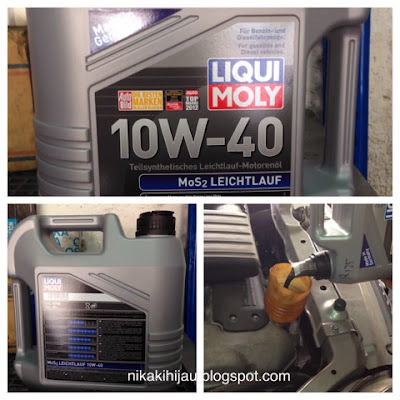 I am using Liqui Moly Mos 2 10w40 semi-synthethic API SL/CF. This is one of the best engine oil available so far in the market. The performance and robustness is at par ot beyond Mobil 1 engine oil and the likes of Royal Purple, Motul, Amsoil or M7 to name a few. Just to share with you the meaning of 10w40. 10w means the oil must have a certain viscosity / flow at low temperature.The lower the "W" number the better the oil's cold temperature/cold start performance. The 40 means that oil must fall withing certain viscosity limits at 100°. This is a fixed limit and all oils that end in 40 must achieve these limits. Once again the lower the number, the thinner the oil: a 30 oil is thinner than a 40 oil at 100°C etc. API stands for American Petroleum Institute. It is an organization from USA that governs all the standards and methodology in the oil and gas industry worldwide. SL means a standard in Petrol, introduce in 1998 that touches the phosphorous limit of 0.1%. CF means intended for indirect injection engines and this governs the usage in Diesel engine. As you can see, the previous oil was very dirty. 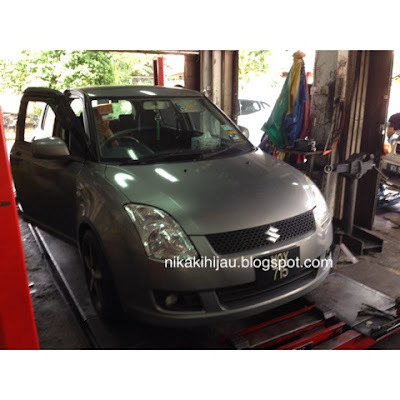 Fully-synthetic oil: 15000km and depends on what brand you are using. For me, Liqui Moly, Mobil 1, Shell, Castrol, Royal Purple, Amsoil, Motul and others who are established in the market are good brands. Just make sure you follow the service intervals recommended by your technicians.